A model in metal possibly by Navwar. Painted , in very good condition. A model in metal produced in the 1970s by an unknown maker, probably Navwar. Painted nicely, in very good condition. 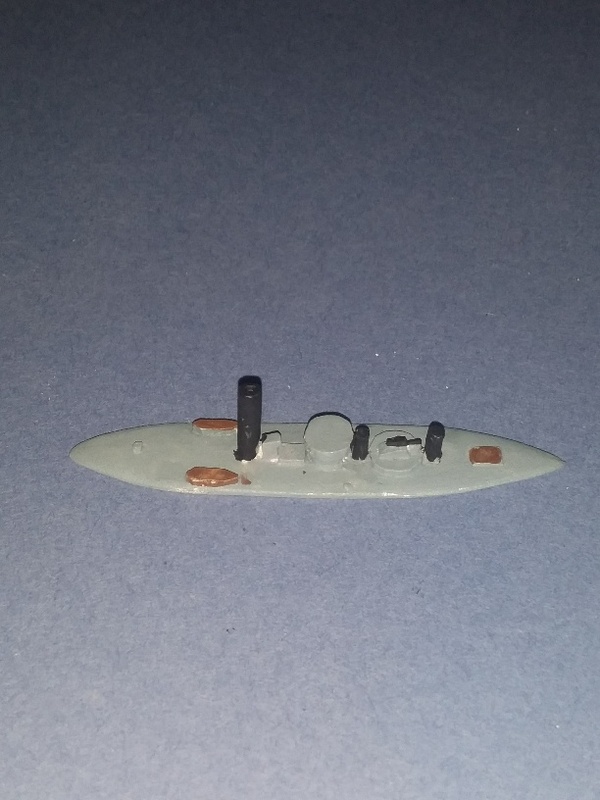 A model in metal produced in the UK probably by Navwar. Nicely finished and painted Approx 26mm long. A model in metal in 1/1200 scale produced in the 1970s by an unknown maker, probably Navwar. Painted nicely, in very good condition.